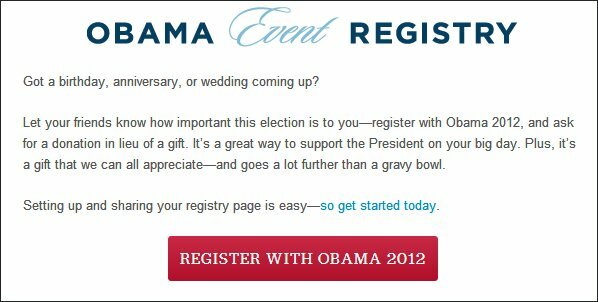 We thought we'd seen the most cynical and desperate plea for cash by the Obama campaign when they asked engaged couples to forego wedding gifts in lieu of donations to... President Blamey McSandtrap. Yep, had me goin' there. 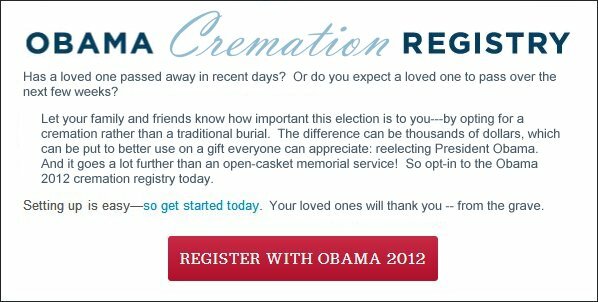 Next is the throw the body into the river appeal, entire saved burial/cremation costs can be donated to a dying presidency's bid for resurrection. 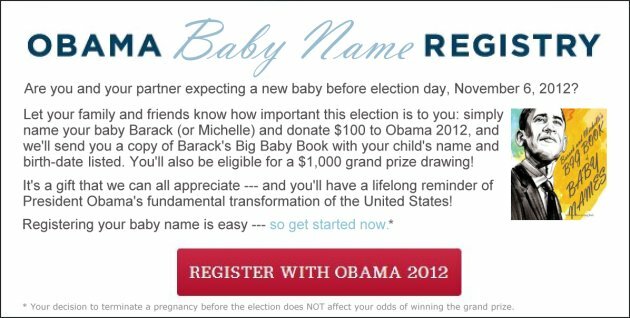 "Savor their sweet tears of despair"
How Low Can It Go? Don't Ask. Larwyn's Linx: Is Huma Abedin the Next Van Jones?